If we are reading and gathering information just by reading from the title, it would be quite confusing as why would Jorge Lorenzo change from being a MotoGP rider into a GP2 F1 support series driver in such time where 2012 the season is about to kick off in just less than a month to go. Well that’s why it is just a title, so we should read more and get to know about it before making any conclusion. No worry needed for the fans of Lorenzo and MotoGP, the Spaniard rider won’t be transferring to four-wheel racing just yet, well at least not anytime sooner. 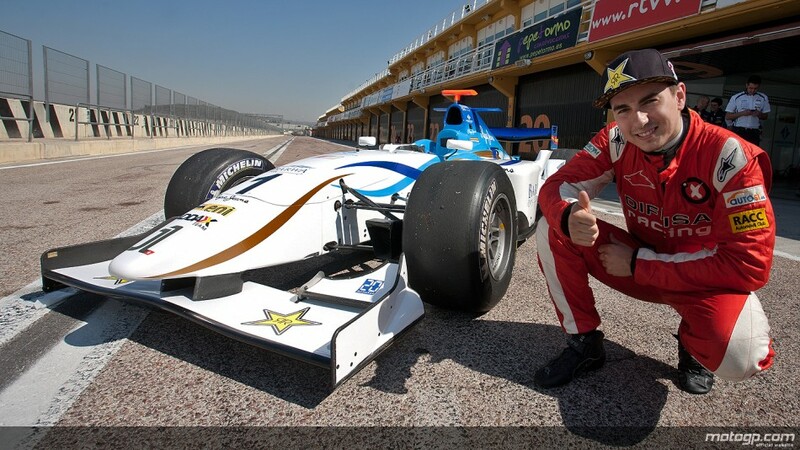 Lorenzo was only invited by Barwa Addex Team for a test run at the Valencia circuit. Although the Spaniard’s time on the car wasn’t as long as the more experience driver, he managed to clock a respectable lap time just merely a few seconds of the more experienced Javi Villa.